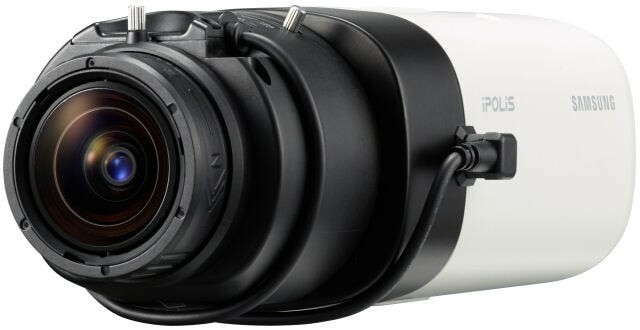 Hanwha’s 4K UHD & 12 Megapixel camera, features 12M (4000 x 3000) / 8M (3840 x 2160) resolution images at 20fps@4000 x 3000 / 30fps@3840 x 2160. Advanced features include edge storage, intelligent video analytics, bi-directional audio, & analog video output. Integration capabilities include alarom I/O & RS-485 controls. Simple Focus allows easy and perfect focus. Motion images recorded in the SD/SDHC/SDXC memory card can be downloaded.